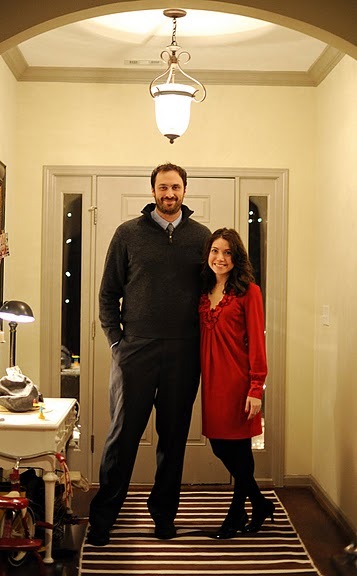 Last night Kellen went out on a date to Mannheim Steamroller. We had a blast even though we were the youngest people in the place by at least 15 years. We never heard of the musical Broadway group before, but were in need of a show so we went. Anyhoo, the little red dress is by Badgley Mischka and was a steal on Rue La La a invite only site with huge sales of name brand goods. All this to say if you want an invite to Rue La La, Gilt Group, or One Kings Lane a home goods discount site then let me know. I just need your email and I will send you an invite. I have bought clothes and shoes for the kiddos and a few things for me from Gilt, One Kings Lane and now Rue La La and have been quite pleased. I love discount pricing on things I normally could not afford and thought you all may too.